Many people obtain permanent residence in the United States through an offer of employment. 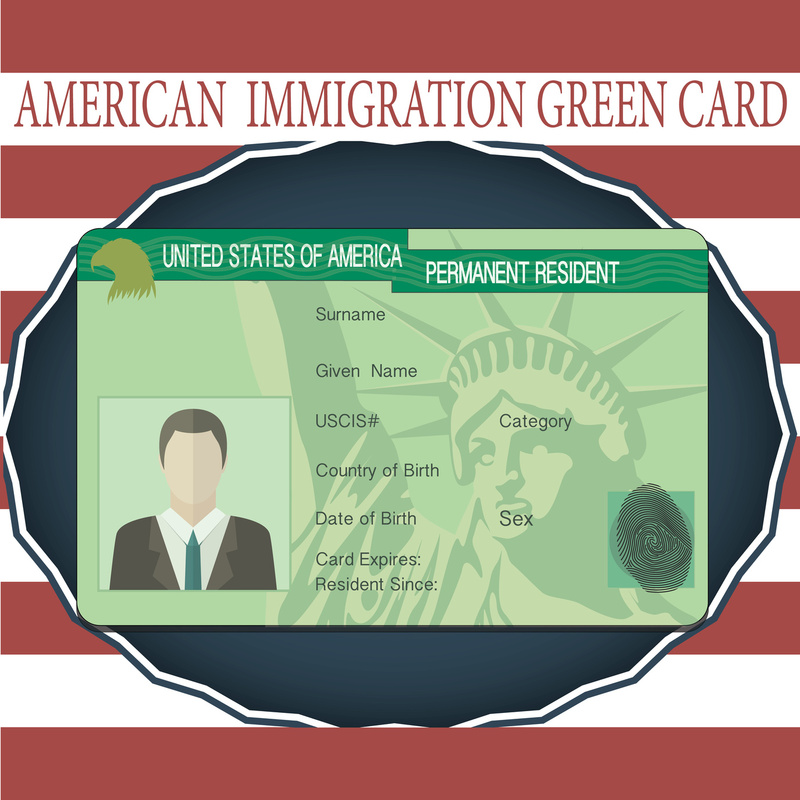 There are three general steps in this process for lawful permanent residence for most workers. The first two steps must be initiated by the employer, and the last step by the foreign national and his/her accompanying relatives. Note that there are certain limited categories for which this certification from the DOL is not required. This post addresses only those categories where DOL certification is required. The first step is to demonstrate that there are no qualified U.S. workers able, willing, qualified, and available to take the offered job, and that the working conditions and wages for the position will not have an adverse effect on the U.S. labor market. Having established the job description, which must state the duties, responsibilities, minimum requirements, education, skills, and experience for the position, the employer must obtain a Prevailing Wage Determination from the DOL (ETA Form 9141). The wage offered for the position must meet or exceed the prevailing wage amount. The employer must also place a job posting for ten business days and test the U.S. labor market by conducting specific required recruitment in the particular geographic location where the position is located. The recruitment for the position must include a job order with the State Workforce Agency for 30 days; two Sunday newspaper advertisements; and for certain professional positions, some additional recruitment activities (e.g., advertisements on a job search website, advertisements on the employer website, employer referral program, advertisements in a local paper). Note that for certain types of positions, such as university professors, different standards apply. All documentation related to the recruitment must be retained by the employer for a period of five years, and the employer may be required to provide this documentation of the recruitment to the Department of Labor in the event of an audit. The application is filed electronically and no supporting documents need to be submitted unless the case is selected for audit. The employer may file a PERM only if the recruitment was conducted according to the regulations, and if there were no qualified, willing, able, and available workers to take the position. The foreign national (the sponsored employee) is prohibited from paying any fees related to the filing of a PERM labor certification including paying the legal fees and the recruitment costs. If the PERM is approved, the employer may then file an Immigrant Petition for Alien Worker (Form I-140) within 180 days of approval. The employer files the I-140 petition in order to inform the USCIS that it intends to employ the foreign worker in the PERM position and sponsor him/her for U.S. legal permanent resident status. In the I-140, employer must demonstrate that it has the ability to pay the offered wage stated in the PERM application and the foreign national qualifies for the position as described in the PERM application. Congress imposed limitations on the annual number of individuals who may become a legal permanent resident in the various categories. To enforce these limitations, the Department of State (DOS) publishes a monthly Visa Bulletin that lists the cut-off dates for each category. Individuals are assigned a priority date according to the date of the filing of the PERM application (see “FIRST STEP”). Only those who have a priority date on or before the cut-off date in the current monthly Visa Bulletin are eligible to file the third step in the process, either through an application to adjust to permanent resident status (Form I-485) to the USICS (if eligible and present in the U.S.) or the immigrant visa application at the appropriate U.S. Embassy or Consulate. Note that for certain categories, individuals with a “current” priority date at the time of filing of the I-140 petition may file the I-485 concurrently. Whether the individual files an I-485 application or an immigrant visa application, one must demonstrate eligibility for lawful permanent resident status. Some common grounds for ineligibility include current or past failure to maintain lawful status in the U.S., certain criminal history, false claims to U.S. citizenship, fraud, or misrepresentation. The attorneys at MMHPC handle all aspects of employer-sponsored permanent residence and are able to assist both employers and employees in the process. If your company is interested in sponsoring a valuable employee, or if you are an employee hoping to be sponsored by your employer, and you have additional questions about the process, please contact us.